Run by the Community Midwife. Appointments are made via reception. The midwife is contactable at Gilchrist Birthing Unit, Eye on 01379 870600. Run by the Health Visitor. An open clinic for which no appointments are needed giving an opportunity for weighing babies and toddlers, seeing other parents and discussing issues and concerns with the Health Visitor. A specialist counselling service is available through the practice. Referral is via your doctor. Run by Practice Nurse Alethea Hastings. Appointments are sent out from the Health Centre. Routinely with your Doctor, Jan Kelly or Alethea Hastings. Implanon and coil fitting are offered by Dr Evans and Alethea Hastings. 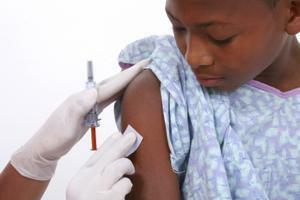 Children’s immunisations are given by the Practice Nurses. Invitations for these will normally be sent out to you. If your child is overdue for immunisation and you have not heard please contact the surgery. Adult immunisations can be arranged with the nurses at other times. Please make an appointment. Visits bi-monthly on Tuesday mornings. Referrals are usually made by Health Visitors and appointments are sent out by Ipswich Hospital Eye Department.